How TranslateMedia helped Smiley® localize its website into 12 languages. 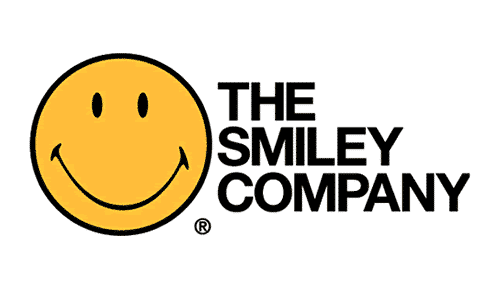 The Smiley Company is one of the world’s top licensing companies with over 230 licensees globally generating annual turnover at retail in excess of $200 million and selling more than 13 million products annually. The Smiley trademark is registered in more than 100 countries and in over 12 product categories and according to a recent Toluna survey has 97% recognition across the world as a symbol of positivity. Even though the Smiley logo is one the most recognizable symbol globally –to ensure that the business could continue to spread happiness around the world, they knew that they needed to speak to users in their local language. At Smiley, product creativity is absolutely key to everything they do – so selecting the right localization provider was key to the success of delivering their brand message across the globe. On top of that, the large volume of content that required translation meant that they required an automated solution to push content out for translation and receive the translated content back into their systems once the projects were completed. In order to fulfil their ambitions to reach a global audience while providing a scalable, flexible and robust platform to engage users around the world, Smiley opted to build their website on the Drupal content management platform. TranslateMedia worked with Smiley’s in-house developers to integrate their Drupal-based website with TranslateMedia’s state-of-the-art translation management system, STREAM. In all, the installation and integration process took just a few days and Smiley was ready to start sending their content to TranslateMedia for translation. To ensure that this could all be achieved on time and within budget, TranslateMedia worked closely with Smiley to develop a detailed translation brief based on analysis of existing collateral and conversations with key regional staff members. Smiley and TranslateMedia worked together to hand-pick the right teams of linguists, with the relevant knowledge and experience to work on each language combination. The best translators were then selected to become part of the dedicated team to work on the Smiley project from initiation to completion. Smiley was able to localize their website into over 12 languages in a matter of weeks. The content was transcreated with both the Smiley brand and the target audience in mind – allowing Smiley to increase their online presence in all of the markets they expanded into.